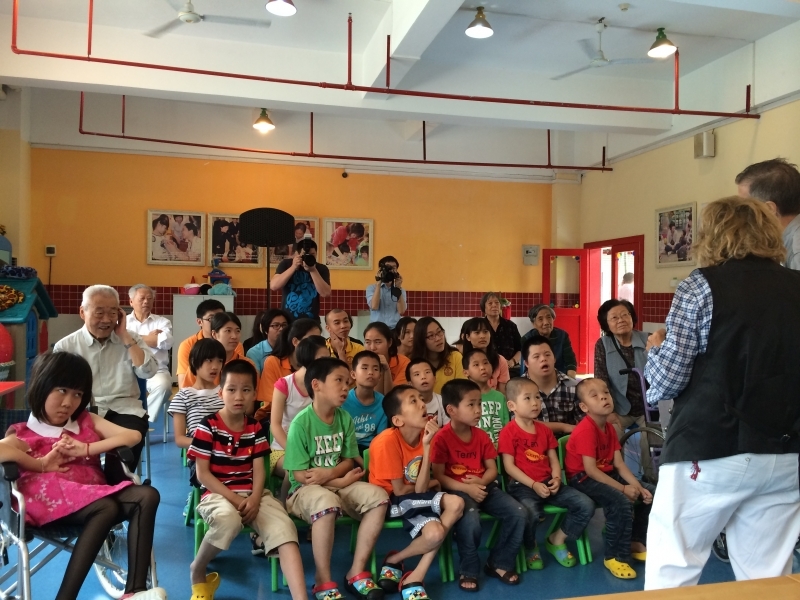 As part of her visits to schools and educational institutions, Sara Atzmon visited the Baoan Social Welfare Centre, which is an which is an orphanage in Shenzhen, China. Sara shared her remarkable story of hardship and survival with a group of long-term residents at the Centre, including adults and children of various ages. She also conducted a special art workshop with the group, who painted images they had in mind after hearing Sara’s moving story. These were exhibited on a wall alongside copies of her own artwork. The students also joined in a concert and an exchange of music and dances with Mrs Atzmon. It was a wonderful educational and cultural exchange for all.